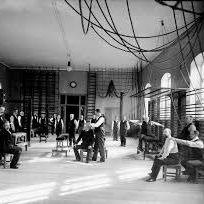 Beginnings of Exercise Science and Physical Education.. 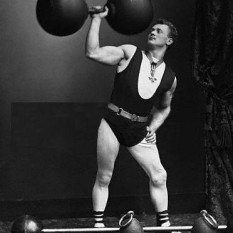 The European Gymnast Physical Culturists played a substantial role in the beginnings of Exercise Science and Physical Education. Swedish Gymnastics and the German Turnen organisations were a foundation from which the scientific discipline of Sport and Exercise Science and the Physical Education profession emerged. 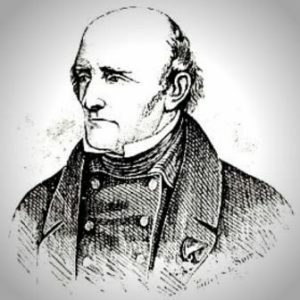 In 1813 with government support Pehr Henrik Ling founder of Swedish Gymnastics (learn more about Swedish Gymnastics here) founded the Royal Central Institute of Gymnastics (RCIG) in Stockholm to teach his system. The RCIG taught Ling’s four streams, Pedagogical Gymnastics, Military Gymnastics, Medical Gymnastics and Aesthetic Gymnastics. Pedagogical Gymnastics was defined as, ‘teaching students how to move their body under their own will’ (Pfister, 2003), this was the beginnings of Physical Education in schools making the RCIG the oldest institute for Physical Education teacher training in the world. Foreign students also attended the RCIG taking Ling’s ideas around the world and with Pedagogical (Physical education) and Medical Gymnastics (Physical Therapy) providing the most work opportunities for graduates it was these streams that developed most. 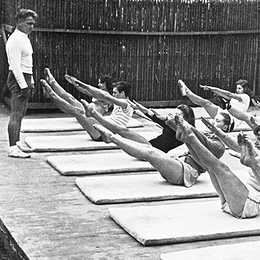 Around the early 1900’s things began to change, with questions emerging around the scientific basis of Ling’s work, Medical Gymnastics (Physical Therapy) was absorbed in to the Karolinska Institute of Medical Science and the RCIG began to examine the science behind Ling’s work, thus began the discipline of Exercise Science. It was also around this time that the European Gymnast Physical Cultures began to be overtaken by competitive sport as the prominent exercise paradigm and with this came a need to improve athletic performance; the RCIG responded accordingly and thus began the discipline of Sport Science. The RCIG still exists today; having changed its name to The Swedish School of Sport and Health Sciences in 1966, it is Sweden’s preeminent college for training in Physical education, Sport and Exercise Science (Lundvall, 2015). The German Turnen (learn more about the Turnen here) presence in the United States began in 1828 when Charles Beck (1798-1866) who is considered the United States first Physical Educator translated Turnen founder Friedrich Jahn’s book ‘German Gymnastics’ in to English creating the first physical training manual in the United States. Further growth of the German system in the United States occurred when a Turnen style gymnasium was constructed at the prestigious Harvard University (Cazers & Miller, 2000). Following some political upheaval in Germany in 1848 many Turnen were forced to flee (Pfister, 2009), by 1854 over 200 000 Germans had arrived in the United States. These migrants set up Turnverein clubs providing a social and cultural outlet for displaced Germans and when the American Civil war started many Turnen fought on the side of the Union impressing the locals with their levels of physical fitness (Cazers & Miller, 2000). Following the American Civil War a decision was undertaken to introduce Physical Education in to the United States school system and with the Turnen full of pride for their system they lobbied school boards for the inclusion of Turnen Gymnastics (Pfister, 2009). 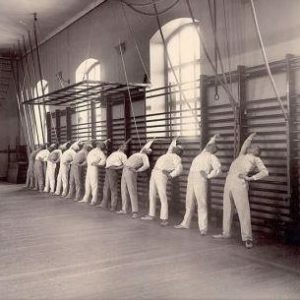 This culminated in 1866 with the founding of the Normal School of the North American Gymnastics Union in New York, the school provided training for Physical Educators and its curriculum included history, anatomy, first aid, dancing, gymnastics instruction and teaching methods. The Normal School has had multiple locations and in 1941 it was incorporated in to Indiana University-Purdue University Indianapolis where it still exists today as the oldest institution for the instruction of Physical Education in the United States (Cazers & Miller, 2000). The Royal Central Institute of Gymnastics founded by Pehr Henrik Ling to teach his system of Swedish Gymnastics was the beginnings of the Physical Education profession in Europe, in time the scientific discipline of Sport and Exercise Science also began its evolution here. The Normal School of the North American Gymnastics Union founded by German Turnen migrants was the first training school in the United States for Physical Educators. Both of these training organisations are still in existence today. Lundvall, S. (2015). From Ling Gymnastics to Sport Science: The Swedish School of Sport and Health Sciences, GIH, from 1813 to 2013. The International Journal of the History of Sport 32(6), 789-799.